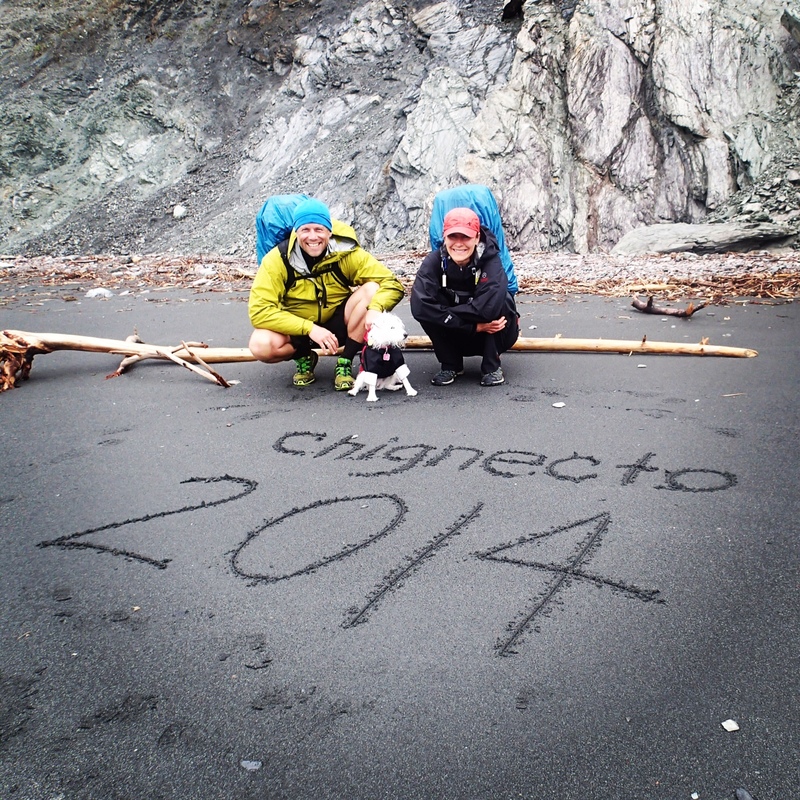 Laura, Kasper, and I kicked off the hiking season with a trek around Cape Chignecto. 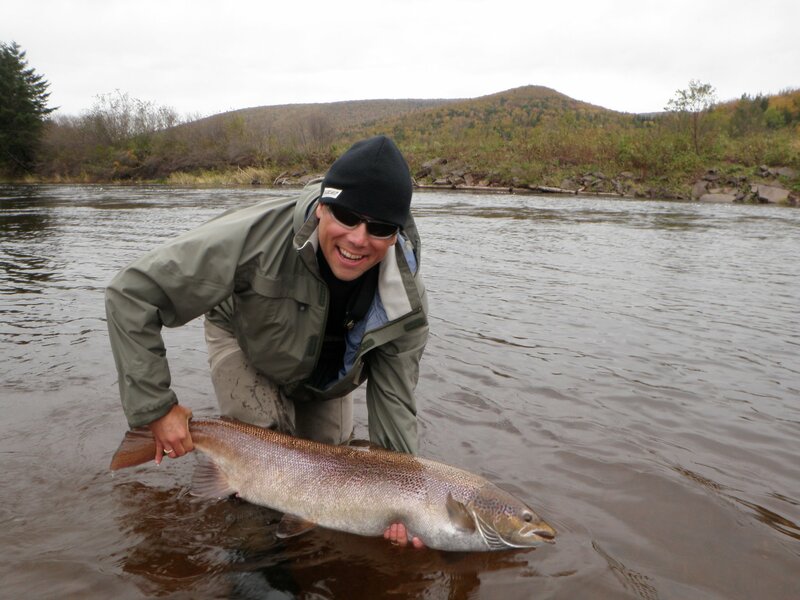 This is a 2.5 day adventure (about 52km) along the low mountain range that is part of the Appalachian Mountains and extends across the northern part of the Nova Scotia Peninsula. We have made this our annual KICK OFF hike and we were very fortunate that a number of friends we met last year during this time had returned as well. It was a great adventure shared with some great hiking companions. Weather was awesome but Saturday night was a little frosty in our tent (about -5). Here are a few photos from our journey. Thanks to Susan and Lynda-Marie for their photos. Kasper and I had the opportunity to join a few friends and hike Cape Split again today. Our friend Etienne always tries to mix things up for us. He brought on a new challenge with the help of mother nature. The first challenge Kasper and I encountered was the fact that the trail was solid ice and I did not have my crampons. After a solid core workout and a few slips, we then had a very icy decent over the cliffs. I had holes burned in my gloves and Kasper was not happy either. It was a pleasant day hiking along the ocean, a bit below freezing and after playing at the bottom we hiked out at night. Great Fun had by all: Sheryl, John & Susan, and my ol’ buddy Etienne. Had an awesome day on the trail this weekend. We did 4 Loops of the BLUFF Wilderness Trail (about 30km) on Sunday. Weather was beautiful and it is hard to believe that it is the third week of October and we were able to wear shorts and a t-shirt. 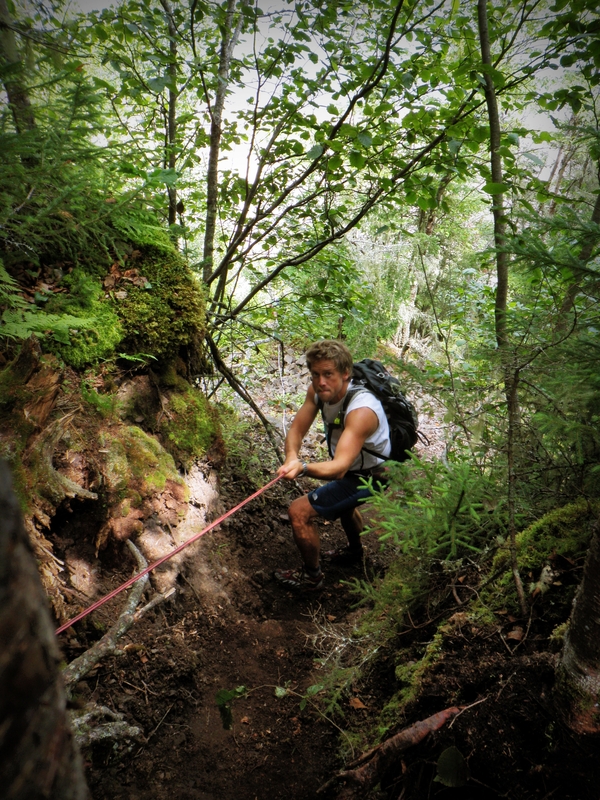 The Bluff is a fairly easy trail without any elevation or steep hills. The scenery is very beautiful and we experienced some great fall colors. It took us about 6 hours to complete the 4 loops including a couple snack breaks and over an hour for lunch. Not much wildlife seen; only 2 porcupines, but lots of coyote pooh. Laura, Kasper, and I went back to Cape Chignecto this Labor Day Weekend. We decided to do things a little different this time and stretched this 52km round trip hike over 3.5 days instead of our usual 2.5 days. This allowed us to spend two nights on Seal Cove beach. 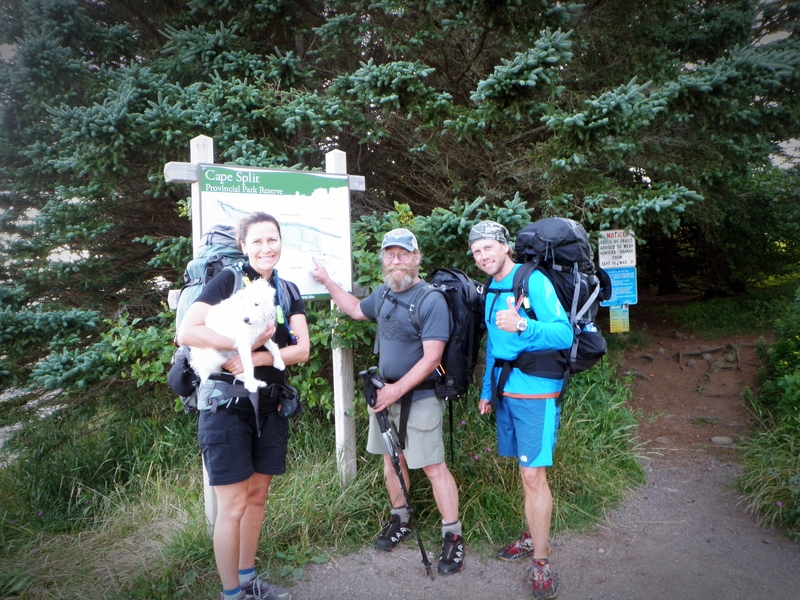 We started our hike on Friday morning towards Seal Cove … we spent all Saturday in the sun and sand of Seal Cove Beach … left for Refugee Cove on Sunday morning … and left for home on Monday. We had beautiful sunny weather with cool nights. Had the opportunity to meet some new Friends (Corey and Sheryl) and put up with the old (Etienne). I think we may look at this hike to be the “kick off” to Nova Scotia’s summer hiking season and plan to do it annually during the May long weekend … You should join us! Laura and I did a two day hike with the Legend (Etienne). 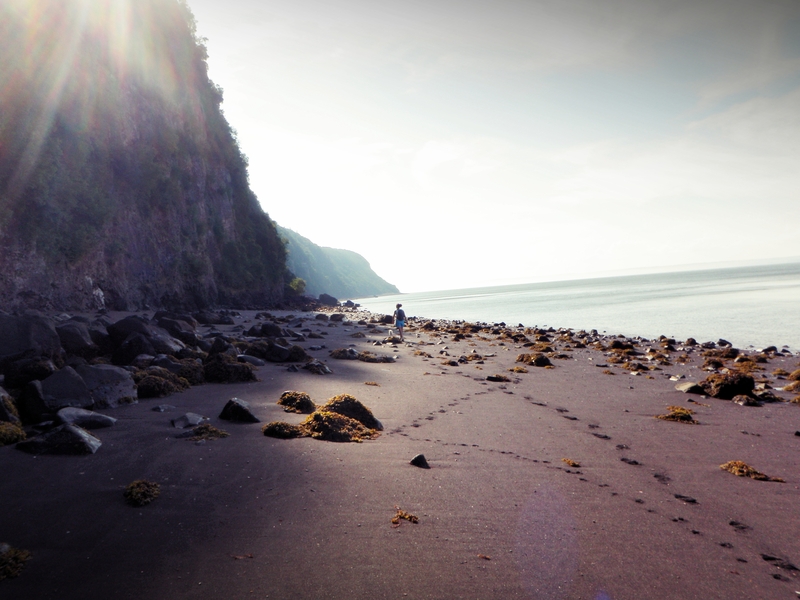 On day 1 we hiked from Blomidon Park to Cape Split and pitched our tent in Clam Bay. It took us all day from 9am till arriving at our camp site at 8pm. On day two, we went around the coast and got to experience the ocean / tide of the Split and then beat the tide back to safety. The highest tides on earth are in Nova Scotia’s Minas Basin. The water level at high tide can be as much as 16 metres (52 feet) higher than at low tide. At mid-tide, the flow in Minas Channel north of Blomidon equals the combined flow of all the rivers and streams on Earth! Wow … things are sure different looking up instead of down. Hiked all the Bluff Wilderness Trail today. 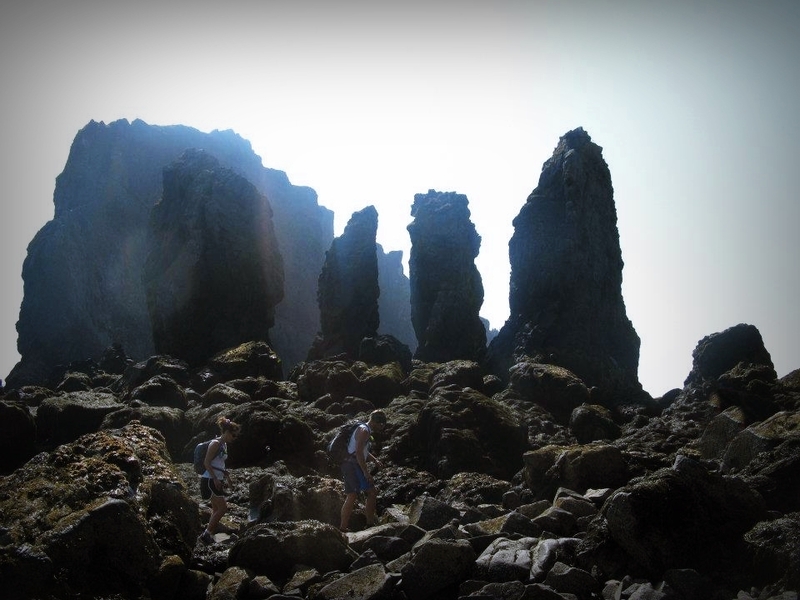 Covered more than 30km of footpaths reaching deep into the interior of the St. Margarets Bay peninsula. Kasper is a bit tired after this one and my feet are sore! In the past, we have over night on loop 2 and 3 before … and we trail run loop 1 (almost 10km) usually 3 to 4 times a week … but this is the first time we have ever completed the whole trail system. 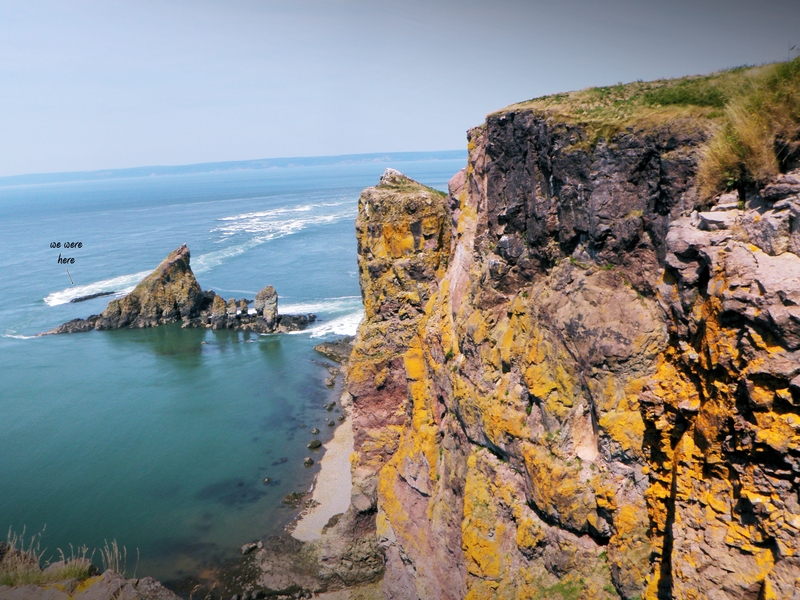 VICTORIA DAY long weekend at Cape Chignecto Provincial Park, 600-foot cliffs rise from the Bay of Fundy while the world’s highest tides lap at their base. Cape Chignecto is a 4,200-hectare natural environment park on a dramatic coastal peninsula. The park features 29 kilometres (18 miles) of pristine coastline, some of Nova Scotia’s most significant geological features, deep valleys, sheltered coves, rare plants, remnant old growth forest, scenic views, and a rich cultural heritage. We have completed this hike a number of times and enjoy it time and time again. On Day 1 we started at Red Rocks (visitor center) and hiked to Seal Cove to spend the night on the beach (20km). 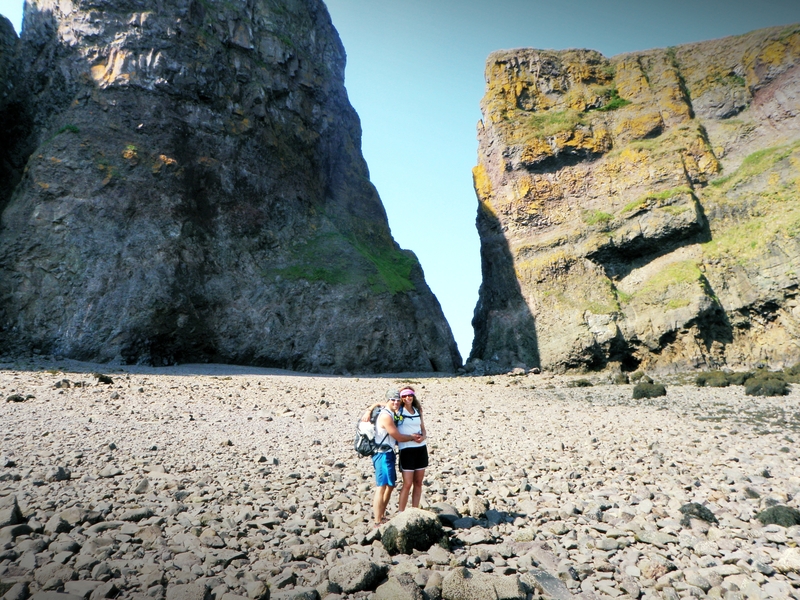 On Day 2 we hike from Seal Cove to Refugee Cove to spend the night on the beach (20km). And on Day 3 we hike back out to our vehicle left at Red Rocks (12km). This is a great 52km 2.5 day hike along Nova Scotia’s Coastline.